Tonight is one of the UK dates on The Mission's 25th anniversary tour, and as their hometown show then expectations are high that tonight is going to be a great night. Far too often these days the opening band on a bill plays to almost empty venues as fans stay in pubs nearby till nearer the time the main act is due on stage, but tonight the openers Salvation play to a large crowd - its good to see the venue two thirds full before the first band hits the stage. I must admit I hadnt listened to anything by Salvation before tonight despite them sharing a similar fanbase to The Mission, but I was impressed by what I heard tonight. I say heard as the lighting was some of the worst gig lighting I've ever seen at a venue of this size, and it didn't improve for the other bands either. The crowd clearly enjoyed Salvation and gave them a good reception. Next up were the Wonderstuff. Kicking off with "Red Berry joy town" from their 1988 debut album, "The eight legged groove machine", the band get off to a great start and quickly show why they are an excellent choice to support The Mission. As the set goes on the band trot out more and more crowd pleasing hits, but I felt the choice of "Ten trenches deep" was the wrong song to end the show with as it just didnt seem to excite the crowd as much as "Golden Green" or "Give give give me more more more" - a more crowd pleasing song would have ended the set on more of a high. Despite this, they have set a high standard for The Mission to try and beat tonight. 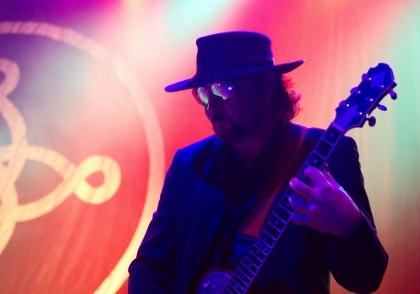 By the time The Mission took to the stage the venue wasnt just busy - it was filled to bursting point with fans desperate to see the legends that are The Mission while they still can. 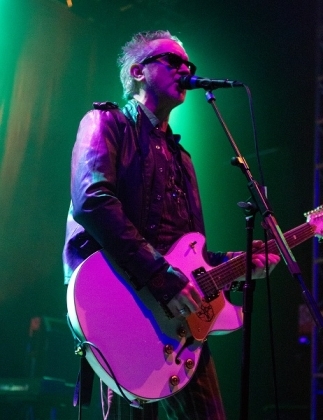 The Mission have split several times, most recently after their run of four shows in four nights in London in 2008 which were advertised as being the last ever shows for the band. Despite this they've reformed to tour to celebrate their 25th anniversary - a decision that fans are clearly very happy about. The band kick off with "Beyond the pale" and get a rapturous reception as they put in a fantastic performance packed with hits - Severina, Butterfly on a wheel and Hands across the ocean being some of my favourites during the set. Wayne Hussey's voice is still in great shape after 25 years, and Simon Hinkler puts in a great performance on guitar -in fact the whole band are making things look easy - they're that good. They end the show with a great performance of "Deliverance" - a great song. That's not the end of the night thankfully - we get two encores with some of the best songs saved for these en - Like a Hurricane, Tower of Strength, Blood Brother and 1969 - what a fantastic way to end a great night. Let's hope The Mission carry on doing the occasional tour - nobody at the gig wants to see them retire permanently. A great night featuring three excellent bands, with The Mission in particular putting in a great performance. Lets hope they tour again soon. Good review,not really a fan of the mission went with a mate of mine whos a big fan, but came away a convert brill set bought a couple oF CDS cant stop playing them . Excellent review of a show I wish I could have seen, but being "across the pond" in the states, made it a bit difficult!!! Great set list, and from what I have seen on Youtube..they still are the best, and never lost it! !